Trey Smith has been one of the most talked about and highly-anticipated freshmen the Vols have had in quite some time. But it’s not just fans and local media who are infatuated with the former five-star prospect: The national media loves Trey Smith as well. Barton Simmons, a national writer for CBS Sports and the director of scouting for 247Sports, compiled a list of every potential breakout freshman for all 14 SEC schools and ranked them all 1 through 14. And Tennessee’s Trey Smith topped the list. 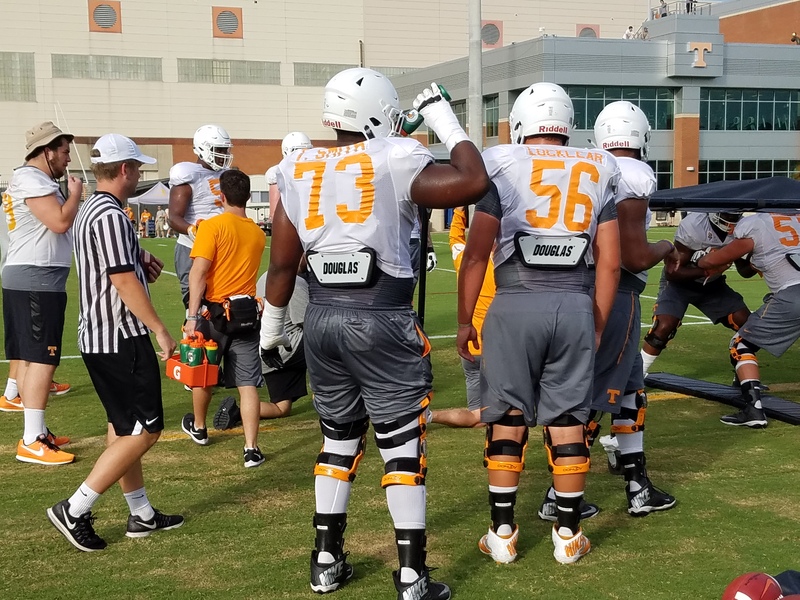 According to head coach Butch Jones, Trey Smith has already solidified himself at the right guard position this fall. And barring some sort of setback or unforeseen movement at another position, Smith will be the only true freshman starting for the Vols on offense when they open up the 2017 season. Vol fans have been excited about Trey Smith ever since he committed to Tennessee. Smith was an early enrollee earlier this season, and he used that time in the spring to get acquainted with the Vols’ offensive line schemes and to build upon his already impressive frame in the weight room. Trey Smith comes in to his freshman season with an insane amount of hype. But he already appears to be living up to it, and local fans and media aren’t the only ones taking notice.